Discussion in 'Extreme and Water Cooling' started by bundymania, Dec 16, 2012. In response to the overwhelming demand and popularity of the MCP655 Series FrozenCPU.com has worked with Swiftech to bring you a more versatile version. Want your pump to run as quiet as possible? 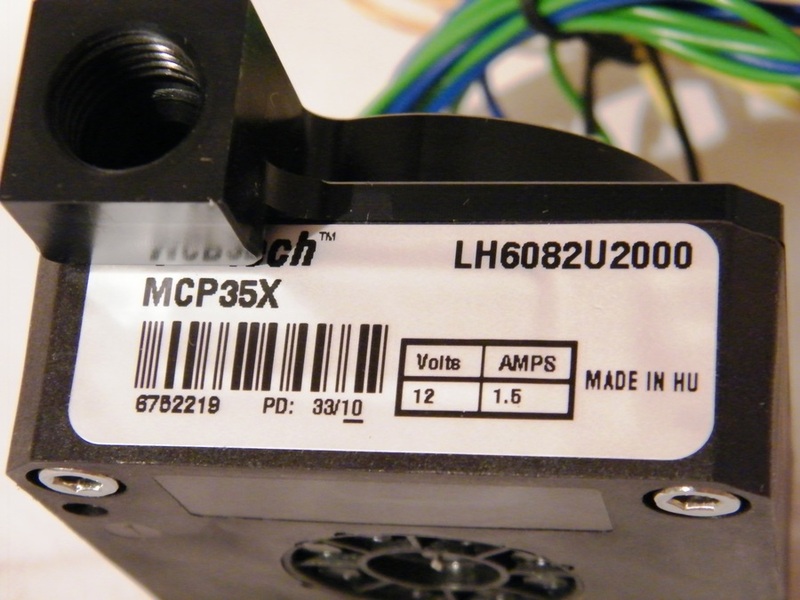 Now you can have that as well as the available power of the MCP655 in the all new MCP655-PWM. 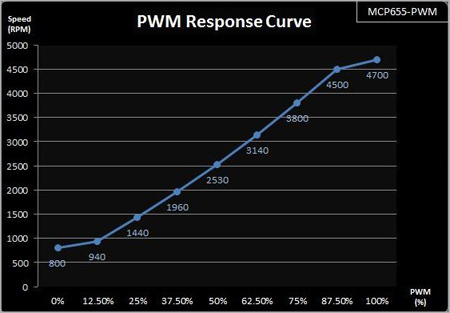 That is right, a PWM version on the MCP655!! The MCP655 pump is a high reliability, high pressure industrial pump, featuring a 50,000 hour MTBF (5 year lifetime). Such reliability is afforded by the unique design of this pump, which contains only one moving part: the magnetically driven spherical impeller spins on a single ceramic bearing, thus extending the life of this pump beyond existing standards. 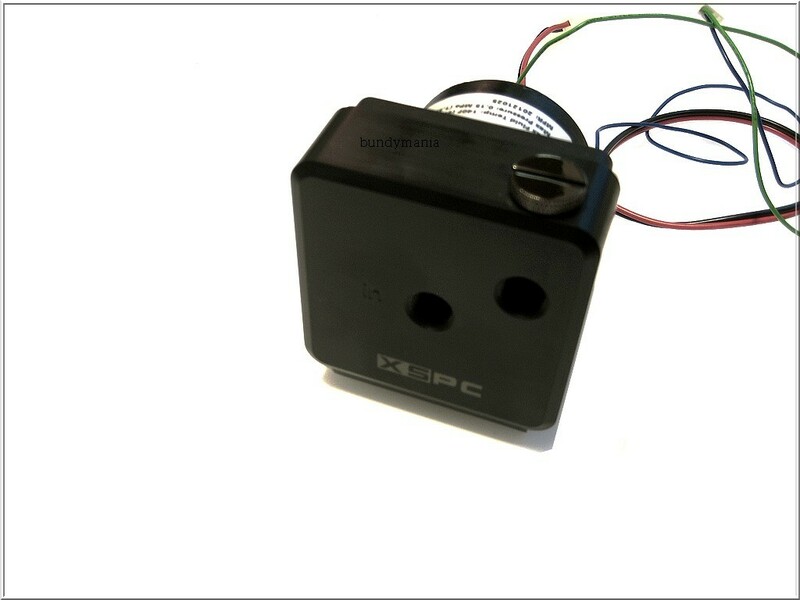 The pump is completely plug-and-play, and connects directly to any computer power-supply through standard 4 pin power connectors and a PWM 4-Pin header. 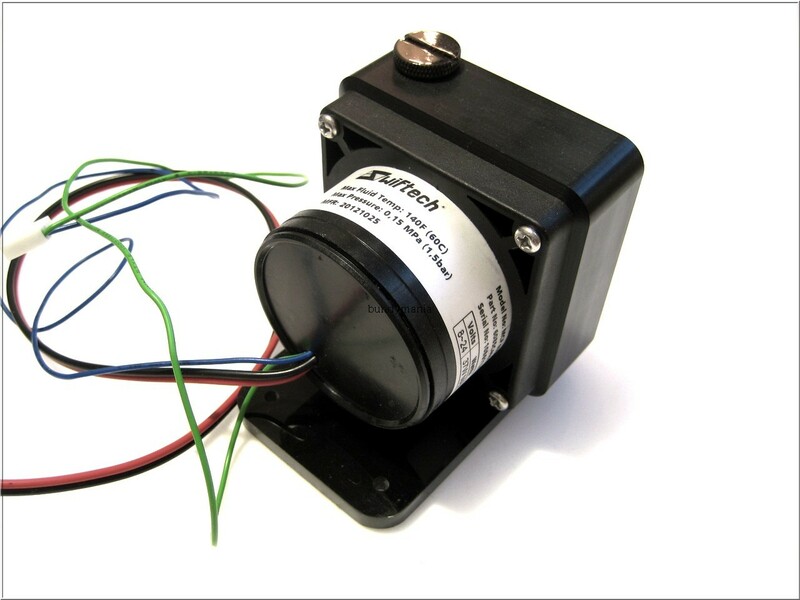 It's compact design, quiet and powerful motor make it ideally suited for heavy duty cooling in environments where space is at a premium. 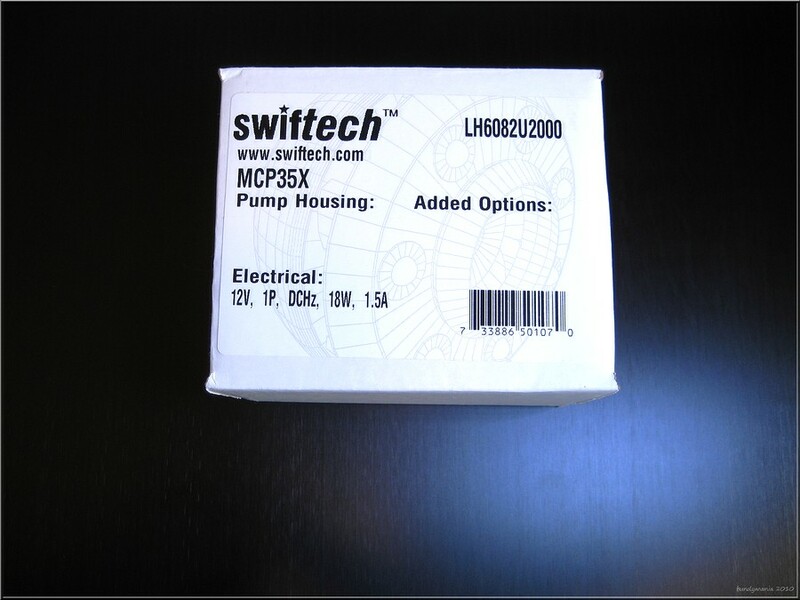 Today, I want to present a new pump to you, the Swiftech MCP35X with PWM. This pump is another relabeled Laing, but coming with a few important mods. Both the pump and the reservoir (sold separately) were given to me by Swiftech and Jab-tech.com. These specs are almost the same as those of a Laing "plus", but I kept wondering where those 50% more performance were coming from. 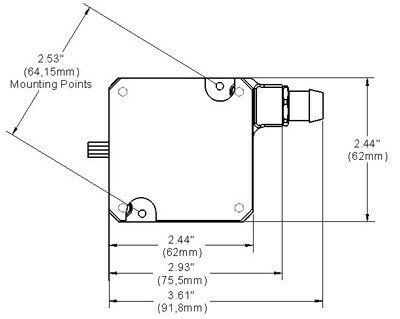 Then I read "PWM"...if this works the way it's supposed to, it allows the pump to be controlled via any motherboard offering a PWM-4-pin-fan-power-port. There's not a lot to add when it comes to the pump's quality, as it's well known already. The top was also flawless: very well made, not sharp edges and the threads were perfect, too. The impellers and the interior is almost the same. Only the 35X's impeller is blue on the outside and red on the inside, just like the early, first genereation Plus-models. This setup offers a flow rate of around 275 and 280l/h. On a setting of 100%, the new 35X delivers flow rates of around 240l/h - a remarkable performance. Another Laing DDC Plus with a mounted Alphacool-top achieves around 235l/h. The new top made out of POM also quiets down the pump by a considerable amount, while the aesthetics of it will always be subject to debate. The PWM-Control, which is working perfectly, was what I was most anxious to test, though. 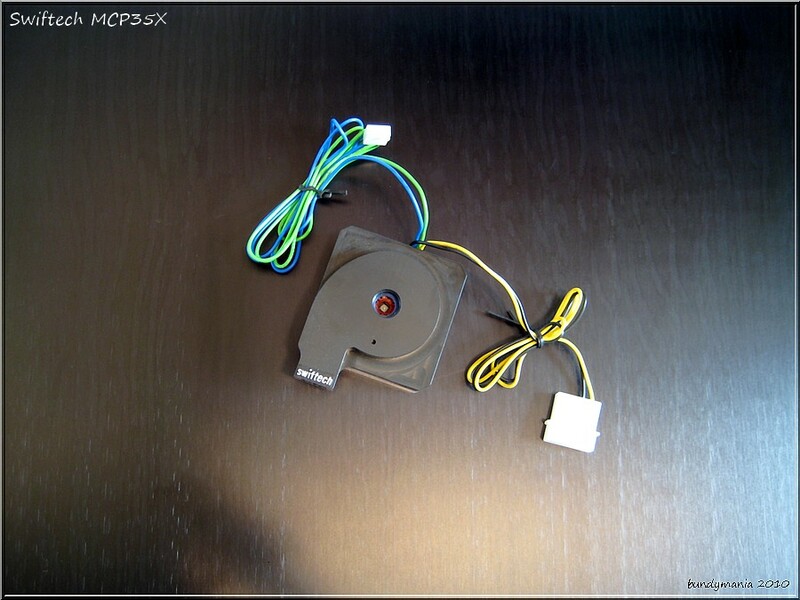 Just plug the molex-connector into your PSU, the PWM-connector onto the motherboard, set the setting in the BIOS and you're set. It's as easy as it sounds. I set the pump to start powering up when the CPU-temperature reached 30?C in the BIOS of the DFI LanpartyDK 790FXB-M2RS and, well, when the CPU was idle, the pump revved at around 1250-1300rpm, but when I started Prime95, it powered up to 100%, so around 4500rpm. With a good motherboard with good fan control-settings in the BIOS, you can create a very, very quiet pump, that can power up to 100% when needed. The times when you needed additional hardware like the Aquaero, Heatmaster and so on are over. You can see the pump at around 1300rpm and the corresponding 45l/h. When starting Prime95 (I also overclocked the CPU using K10STAT), the temperature quickly rises and the pump gets up to full performance (4500rpm and 240l/h). When aborting Prime and removing the overclock, the pump also quiets down again. Let's start out with a few words on the quality of the reservoir. It's just as flawlessly made as the cap. The scope of delivery is fine, everything needed is included. The extremely heavy, nickel plated sealing cap was what impressed me most, you immediately get the impression of having something valuable in your hands, even though an additional thread in the top wouldn't have hurt. Installing the reservoir was easily done using the included manual. Something noteworthy: the reservoir is held in position by a little metal pin, that you stick in a matching hole in the top of the pump and in another one in the bottom of the reservoir. 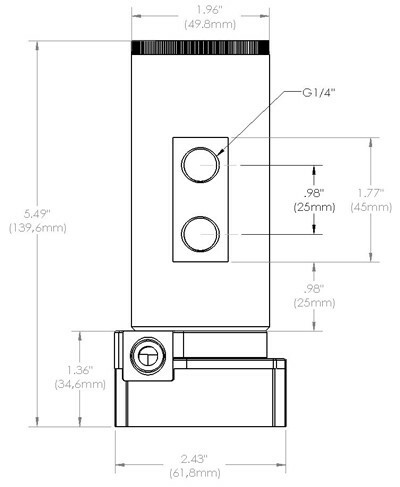 The reservoir base itself comes with six of these holes, so that you can choose the one that makes it the easiest to align the fittings properly - a great idea in my opinion. If anyone wants to split their loop: 19/13-screw-on-fittings don't fit next to each other on the reservoir, while 16/10s do. Let's get to the test, in which this combination performed very well: on 100% performance, the filtering sponge was able to stop the air bubbles, making it completely high-flow-compatible. When revving down the pump, you can hardly see any bubbles in the reservoir. 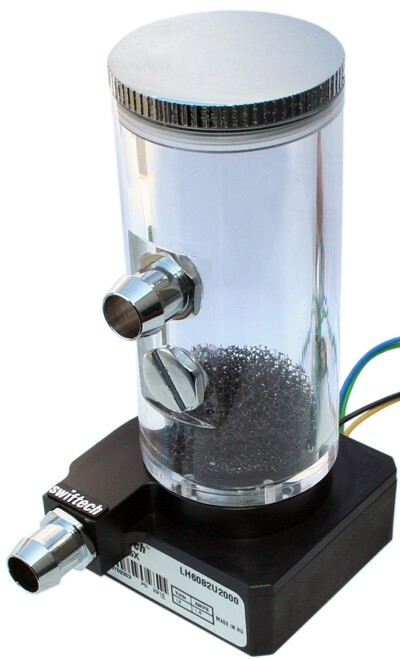 The pump is offered for around 100US$, the reservoir for around 30US$. Well, what's there left to say? The new Swiftech MCP 35X completely convinced me of its qualities. It's not the new looks, not the new top: it's the perfectly working PWM control of this pump, making it possible for every user to control the pump, even without separate controllers. The reservoir made for the 35X also impressed me, both optically and technically. Thanks go out the the companies Swiftech and Jab-tech for providing these samples and also my assistant sonnyboy! 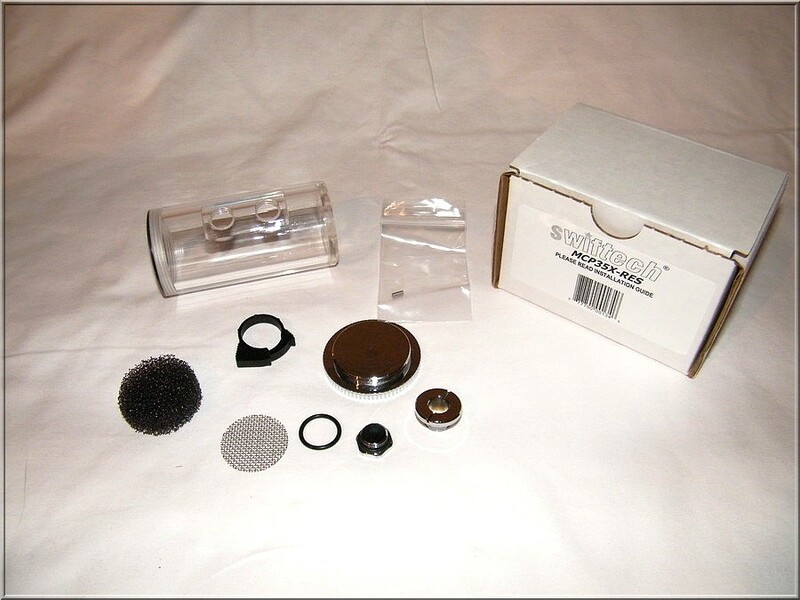 I would love to know if the filter for the res does anything, like catch flaking nickel and rad debris etc, very curious as to why its there..
other than that amazing review. thanks for the video etc.